California Institute of Health & Social Services, Inc. (CIHSS) is a social service agency developed to decrease the number of children being put in out-of-home care, preserve the family structure and increase quality of care services to youth and adults identified as at-risk in the Los Angeles and surrounding communities. 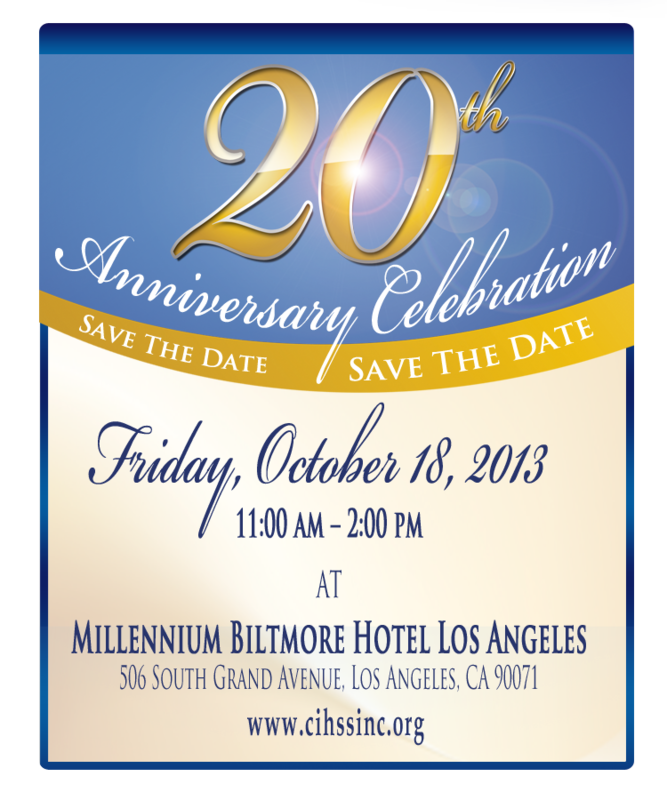 CIHSS was founded in 1993 by William T. Marshall, Ph.D. with a mission to address the problem of the large number of African American and Hispanic children who were at risk of being removed from their homes. CIHSS has continued to support the goal of increasing the availability of resources and protecting the welfare of children, adults, and families of our diverse communities that we serve by the provision of services from experienced and professional staff. CIHSS is dedicated to providing quality services. We are staffed with approximately 90 qualified personnel who are committed to ensuring "best case practices". In addition, we encourage continuous/on-going education for all of our staff. CIHSS has served approximately 2000 families in Los Angeles, San Bernardino and Lancaster area over the last 5 years, including 57%-African America, 19% Latino, 15% Caucasian, 3% Native America, 2% Pacific Islander and 4% Other. Our staff consist of 68% African American, 26% Latino, 3% Caucasian, 2% Pacific Islander and 1% Asian. The mission of the California Institute of Health & Social Services, Inc. (CIHSS) is to preserve the family structure and increase the quality of care to children, youth and adults we serve. CIHSS is a well-respected social services agency with highly trained professional staff that continuously renews their commitment to providing excellent comprehensive services. Through teamwork and perseverance, CIHSS serves culturally diverse and previously underserved populations within their communities. As a result of the impact of services on the lives of clients, they strive to be self-sufficient and exemplary. We believe that all children, youth, adults and families are worthy and deserving of the highest quality of professional support and service. We believe that all children, youth, adults and families are capable of success. We believe that all children, youth, adults and families should be empowered to pursue their inalienable rights. We believe that our adults are people first and the disabilities that they have are second to the person. We believe that all youth in foster care are human beings first and their circumstances are secondary to the person.